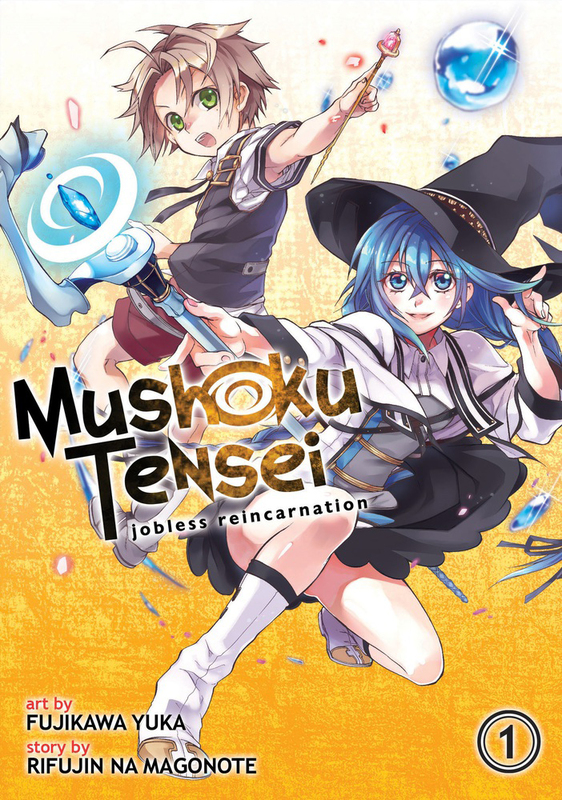 Mushoku Tensei: Jobless Reincarnation 1 features story by Rifujin na Magonote and art by Yuka Fujikawa. Just when an unemployed thirty-four-year-old otaku reaches a dead end in life and decides that it's time to turn over a new leaf - he gets run over by a truck and dies! Shockingly, he finds himself reborn into an infant's body in a strange, new world of swords and magic. His new identity is Rudeus Grayrat, but he still retains the memories of his previous life. 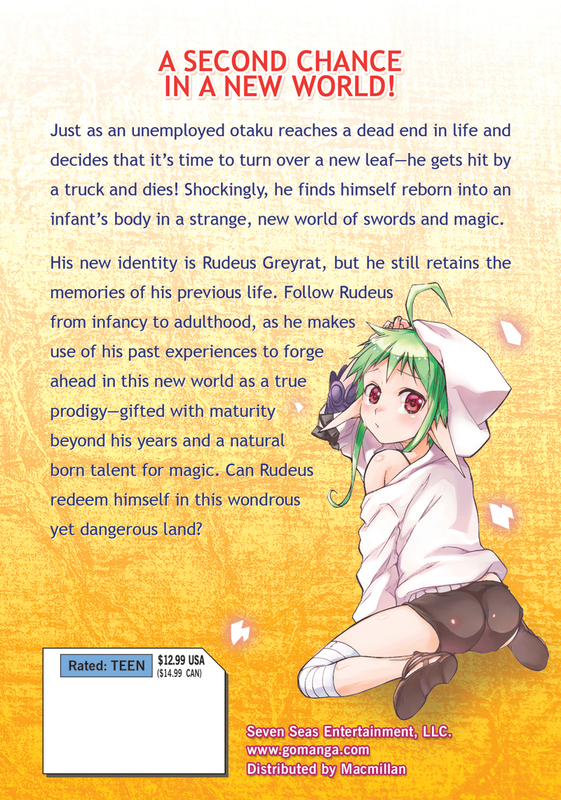 Follow Rudeus from infancy to adulthood, as he struggles to redeem himself in a wondrous yet dangerous world. If you're looking for a high-octane isekai journey, you're not going to find it here. On the other hand, you will find an overpowered main character that attempts to balance the importance of family and friendship in a new world full of magic and swordplay. Also, there is a good potential for a harem as well. I have no regrets. my new favorite series of all time! Never before have i liked a series as much as this one. I quickly devoured all the chapters i could get my hands on and then moved on to the original source material to keep feeding my addiction. As the other reviewer said, nothing high-octane here. Yet. this is just the start of the series after all and unlike many it takes some time to establish who these characters are and why we should give a flying fart. there is drama, character building, humor, and genuine personality in ALL these volumes. and as someone who is quite far ahead now, i can assure you that it only gets BETTER from here!